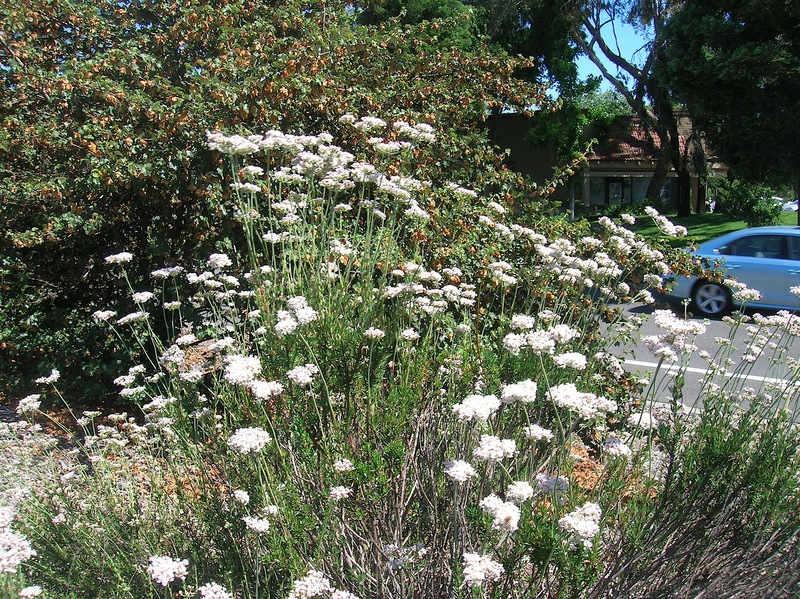 California native plants get most of their attention in the spring, when the wildflowers are in bloom and many other plants are revealing their new growth. Not so much in the late summer and the fall, when dormancy is setting in and brown is the dominant color theme. But … Brown is a color too! Besides, brown exists in numerous interesting shades and hues. 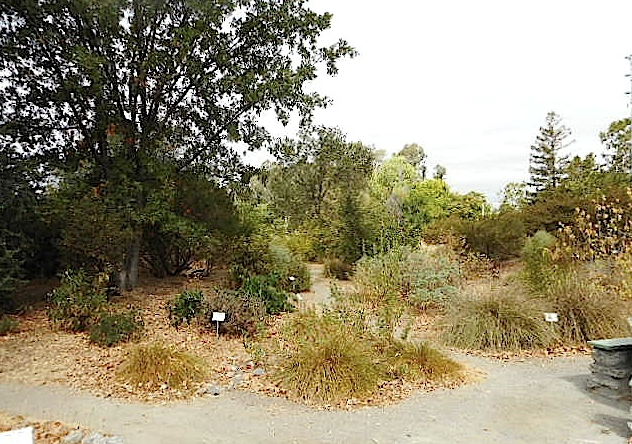 And as one elderly visitor to the Granada Native Garden wisely once pointed out, “You see all kinds of things, if you just stop and look!” Today’s tour of the GNG will feature many of the late summer colors that you can find if you casually stroll thru the Garden and look around. 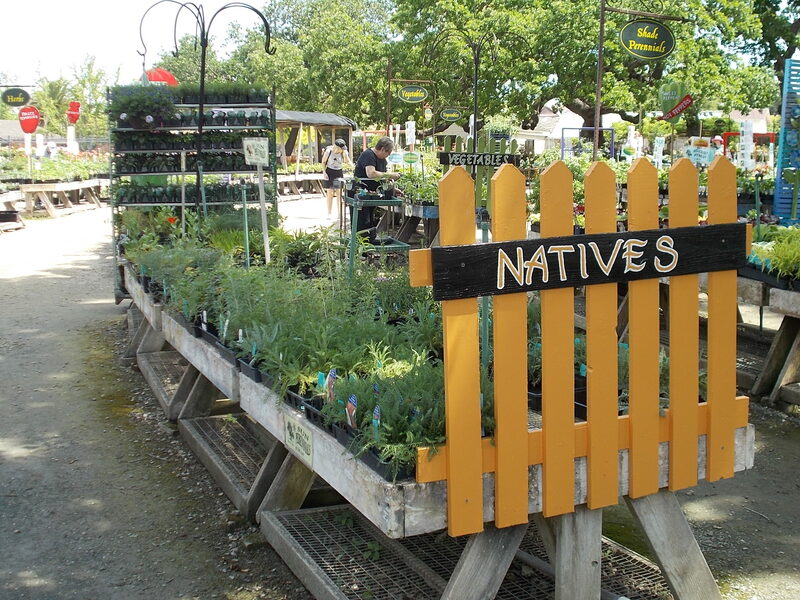 Another benefit of taking your time to appreciate the nature present here is to become aware of the ways in which native plants were used by the Native Americans. Many of the placards used to identify individual plants mention these uses. 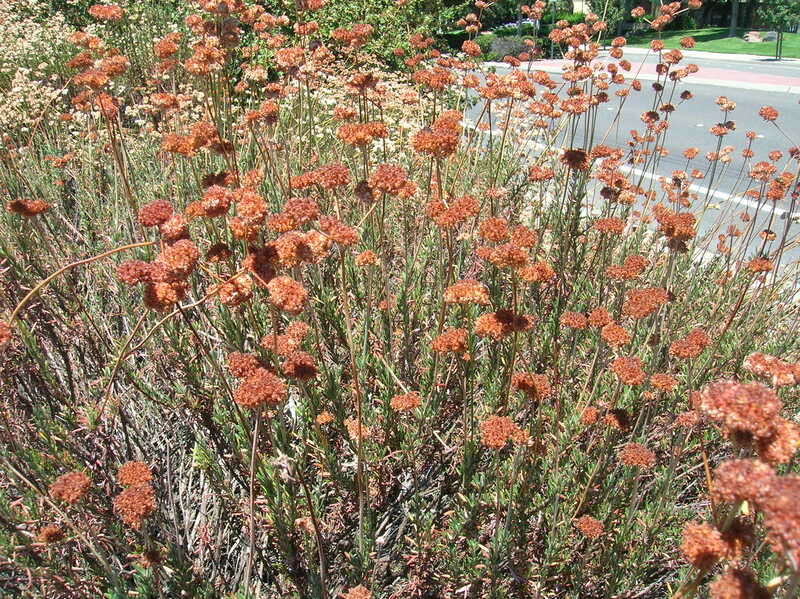 But brown is a color too … and no native plants exhibit that better than the buckwheats. Depending on the species, they start out snowy white, and progress in the fall to pink and then to cinnamon and copper. What a show, if you just take time to look! Most photos can be enlarged just by clicking on them. Western goldenrod is at its prime at this time of the year, and it’s not hard to spot. 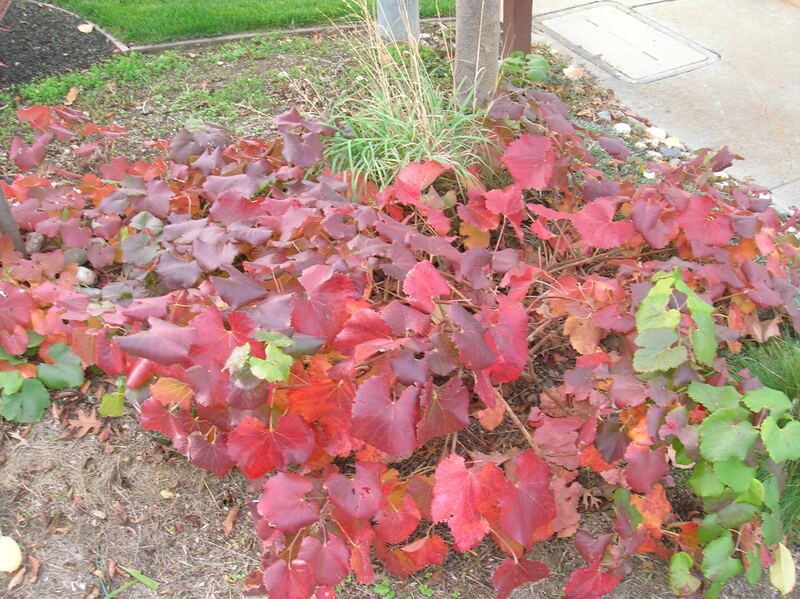 It forms clumps by means of underground stems that make it useful for preventing erosion. Unfortunately, goldenrod has acquired a reputation for causing hay fever, but it is actually pollen from a different plant, ragweed (genus Ambrosia) that is responsible for this allergy. 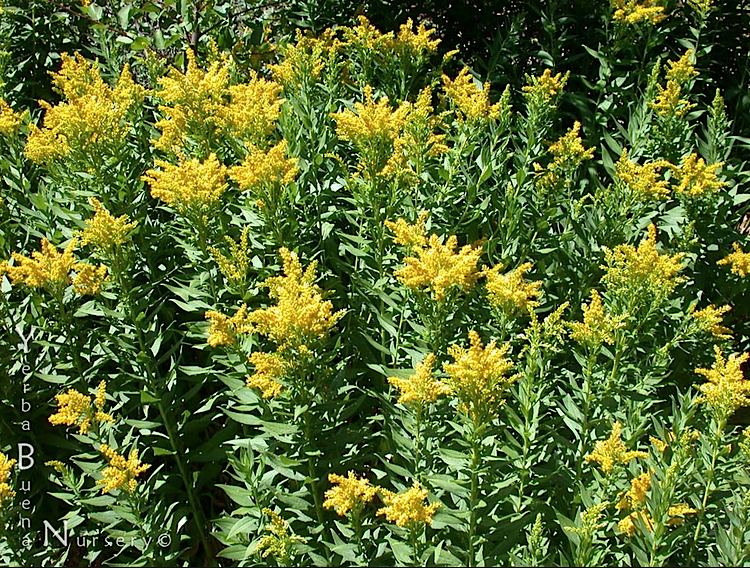 Native Americans of various tribes used goldenrod as a tea to treat coughs, colds, sore throats and toothaches, and as an infusion for washing wounds and burns. 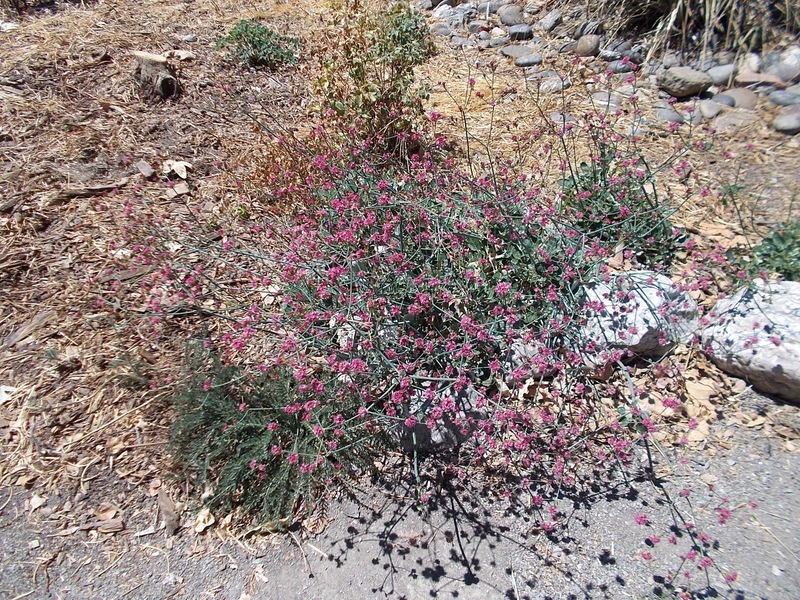 The showy rosy buckwheat, or red-flowered buckwheat (Eriogonum grande rubescens) begins flowering in late spring and persists into fall. It originated in the Channel Islands where it gets summer fog, but it is comfortable inland, altho it might need a little water if it shows stress. Besides being eye candy for us humans, the flowers, leaves and seeds provide food for small mammals as well as for finches, juncos, larks, sparrows, towhees, quail and grouse. You may call it Pacific aster, California aster or coast aster (formerly Aster chilensis, now Symphotrichum chilense). 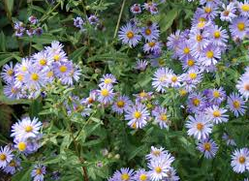 But don’t call it Chilean aster, because it did not originate in Chile, but is a native of the Pacific northwest. 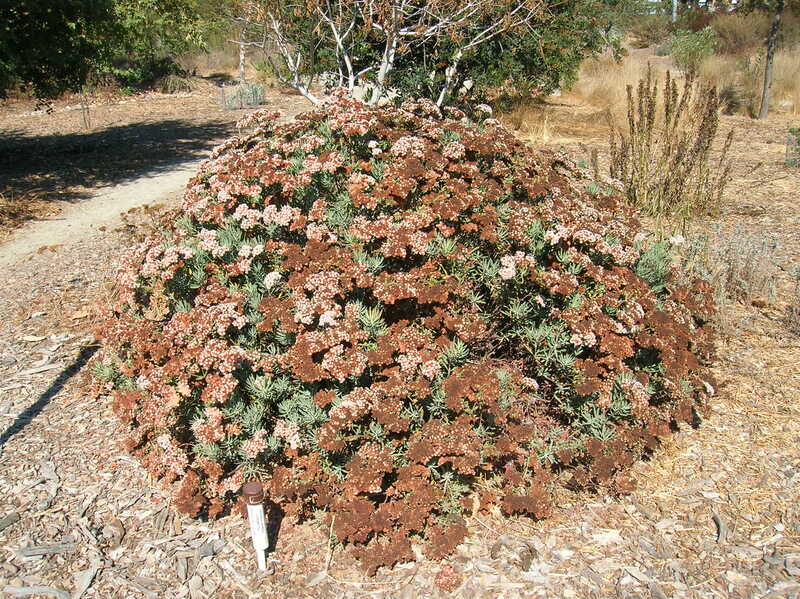 It blooms from late summer thru winter, and stands about 3-4 feet tall, but the variety at the Granada Native Garden is the dwarf ‘Point St. George’, a ground cover about 12 inches or less tall. 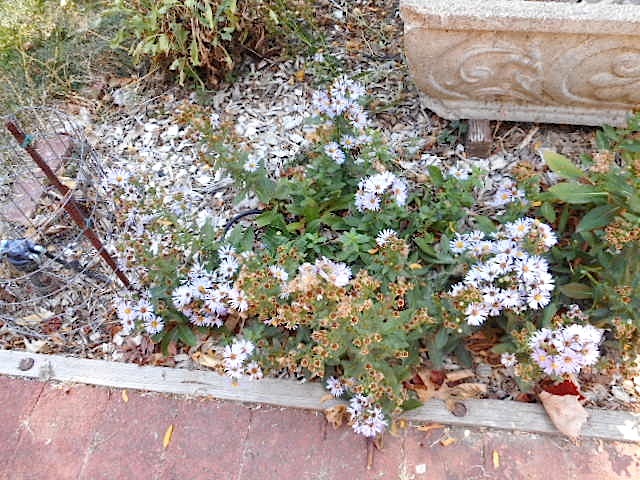 Pacific aster spreads readily by rhizomes (underground stems) in just about any soil, even beach sand. This makes it a good soil stabilizer, as well as a “good late-season pollinator plant, providing a critical pollen source for bees active in the late fall, including new bumblebee queens building up their energy reserves before winter dormancy.” The gangly but nonetheless attractive gumplant, or gumweed (Grindelia camporum) isn’t the showiest member of the GNG family, but it might be one of the more interesting. First of all, it starts blooming early, like April, and keeps it up well into fall. The whole plant has a sticky feel, including the spheroid flower head which can be popped into the mouth and chewed like gum. Of course, any enjoyment there is lasts only about 15 seconds, and it is mostly left to the imagination and the novelty of the experience! But I don’t mean to sell gumplant short. 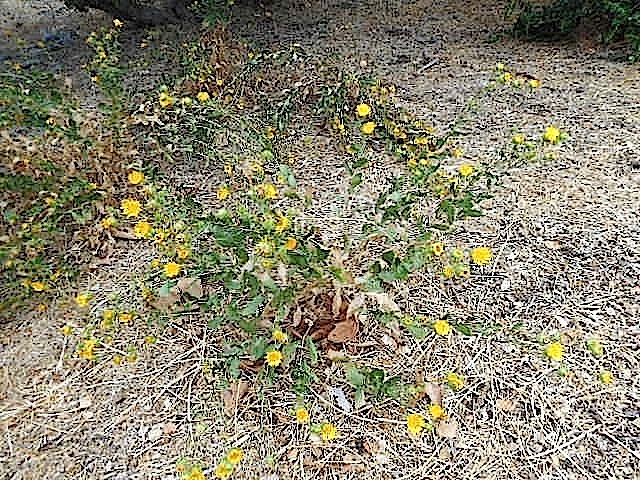 Like so many “weeds”, gumplant has been found to have authentic medicinal properties. Native Americans used the sticky resin to treat respiratory and dermatological afflictions, including poison oak, wounds, burns, boils and sores. 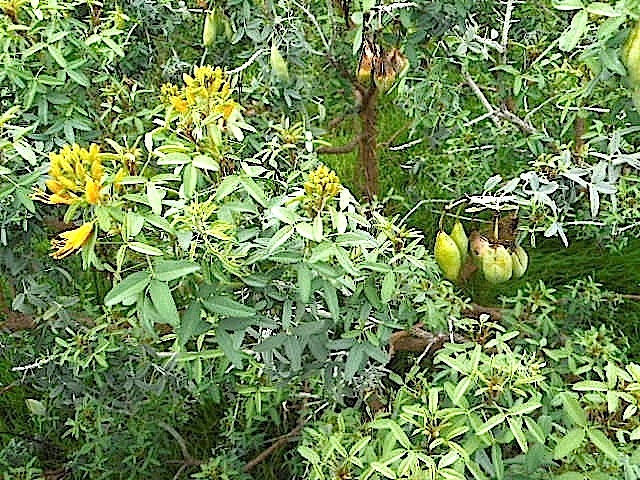 Its effectiveness led early physicians to adopt it, and it is currently available as a herbal supplement for its anti-inflammatory, expectorant, and analgesic properties. 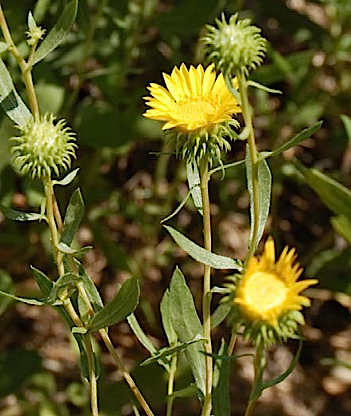 However, some people are allergic to members of this botanical family (Asteraceae), so it should be used with caution. Also, gumplant may contain high levels of selenium, which is toxic when ingested in large amounts. It’s almost cherry-picking time at the GNG. No, not those cherries. The fruit of the holly-leafed cherry (Prunus ilicifolia) is well on its way to ripening. When the cherries are dark purple, almost black, they have a thin layer of sweet, flavorful pulp surrounding an oversized pit. It is said that Native Americans welcomed these cherries as a small but energy-rich pick-me-up snack while out hunting or gathering. Actually, I can’t help treating myself to a few either, when I’m working at the Garden. 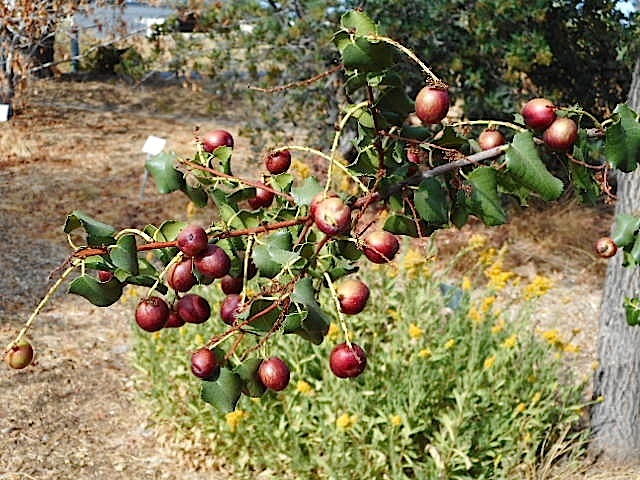 Look for them at the Garden — we have three healthy large shrub-like holly-leafed cherries there. Remember, most photos can be enlarged just by clicking on them. 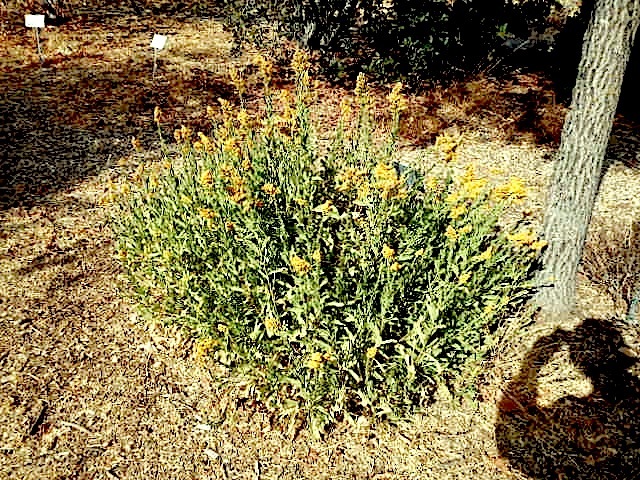 Bladderpod — with foliage that smells like sauteed onions and peppers! 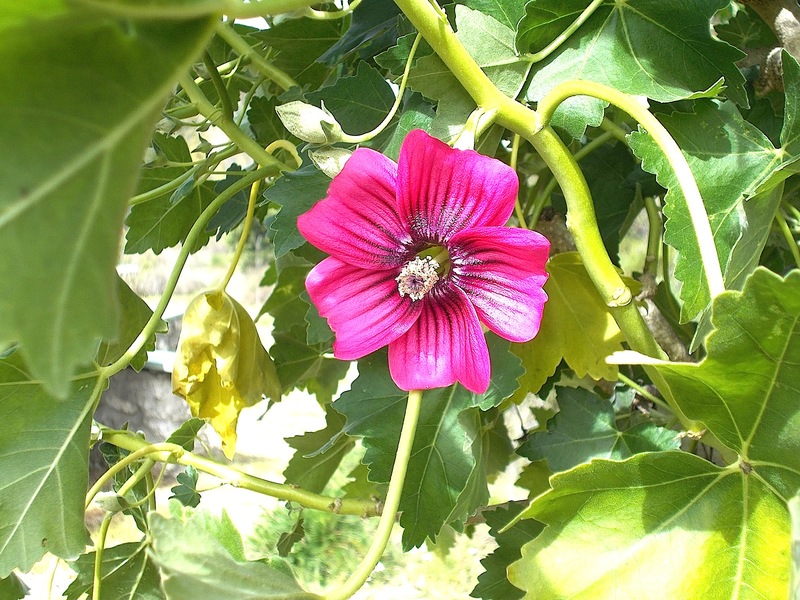 Malva Rose –Its blossoms hide behind its foliage (but we cut it back heavily this fall, and they are easy to find). 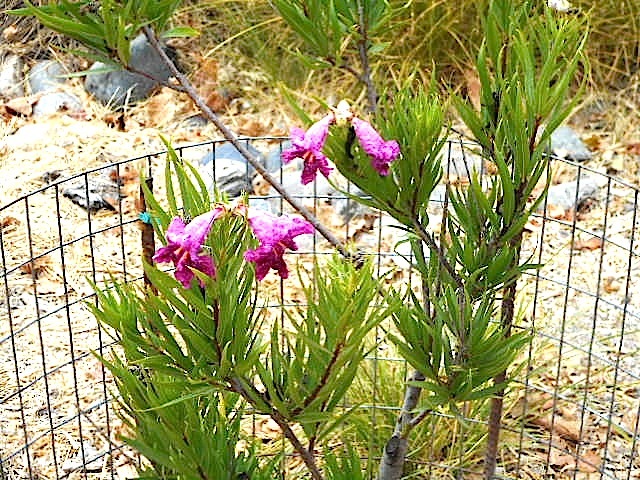 Desert willow — Just planted this year and in its protective cage. Should get about 10-12 feet tall in a few years! 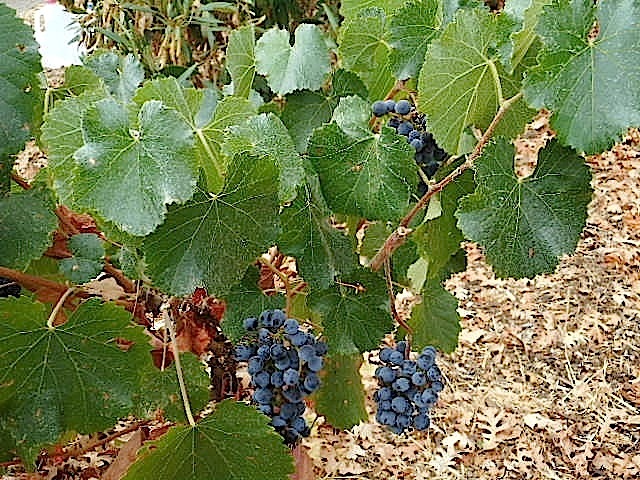 On the left, native grapes, ripe and ready now! On the right, the same grapes later this fall. The native grapes are the Roger’s Red variety, which is actually a hybrid of the wild native grape and an European variety, Alicante bouschet, which gives it the intense red pigment in its leaves. For reliable certified arborist services, contact STUMPY’S TREE SERVICE, (925)518-1442, http://www.stumpystrees.com . 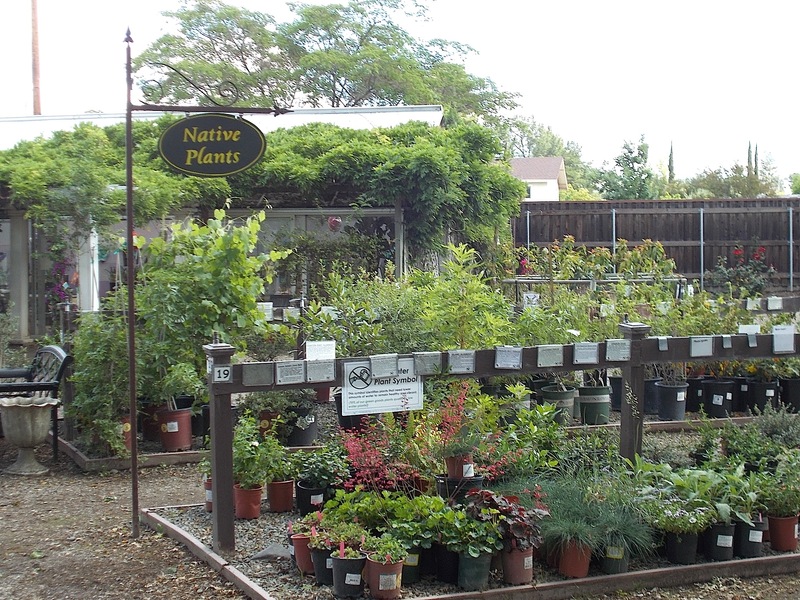 Guided Tours of the Granada Native Garden Are Available! Are you interested in seeing some of the plants that are described in this News- letter or in past issues? One or more staff of the GNG are routinely on duty at the Garden on Mondays and Thursdays, roughly between 10:00 AM and 12:00 noon. But it isn’t very hard to arrange a guided visit at other times. If you are interested in scheduling a visit, just email Jim at JIMatGNG@gmail.com . Or if you have any questions or inquiries, please email Jim at the same address! So beautiful and informative as well as inspiring as usual, Jim! Thank you! Thanks. I just now added a paragraph & photos on buckwheat. Thank you much for your wonderful newsletter! I wish I lived in Northern California!! Happy fall! !